Want to connect with Garrett? I am a 23 year old recent college graduate living in Pacific Beach, CA that is simply hoping to combine my education and love for working with children in an effort to give back and supplement my primary income. 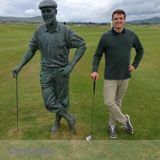 I am a "scratch" golfer, former member of the USD Men's Rugby team, and an avid follower of all the major sports, which often allows me to connect intellectually with adolescent boys. This is not to say; however, that I am less effective at, or enjoy working with girls less. My time as an uncle, volunteer, and camp counselor has provided me with plenty of experience in working with both genders. In terms of my teaching style, I tend to adapt my approach to the individual and look for ways to relate the subject matter to what interests the student. I find that doing so keeps the student engaged, encourages creative and independent thinking, and often results in a more effective and enjoyable learning environment for both the tutor and tutee. Additional hobbies/personal interests of mine include: psychology/physiology, meditation, fitness, nature and outdoor activities such as hunting, hiking, and surfing. I also love traveling and learning new languages. Currently, I have ample availability as I only work three days a week as an associate at Urban Housing Partners. I am available absolutely any time from Thursday-Sunday, and from 6-8:00AM and 5:30-8:00PM on Mondays, Tuesdays, and Wednesdays. Sometimes, I will be able to make scheduling exceptions and meet outside the hours specified above, so please don't hesitate to ask.